Plug the waffle iron in and begin heating. Place the Oats in a food processor with the chopping blade and run until the Oats looks like flour. Combine the ground Oats, Flour, Baking Soda, Salt and Sugar in a medium mixing bowl. In a food processor or large bowl, whisk the Eggs and Milk together. Stir in the melted Butter and the Raisins. 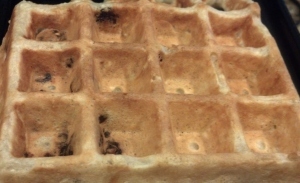 When the waffle iron heated (the light should go out) pour about ½ cup Batter over the center of the Waffle Grids (depending on the size of the waffle iron). 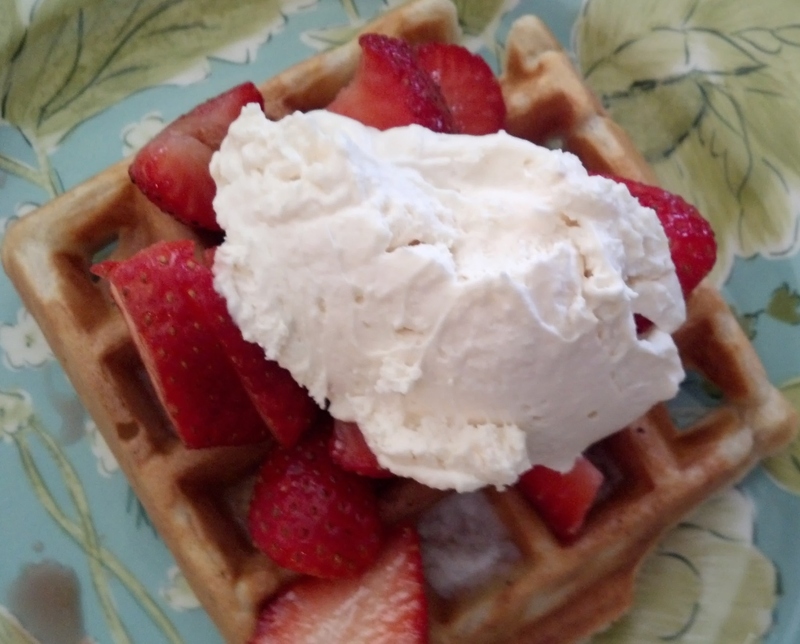 Close Waffle maker, bake until golden, about 2 – 2 1/2 minutes or until steaming stops. Remove the Waffle with wooden toaster tongs. Serve with melted Butter and Syrup or Fruit Toppings. NOTE: Always preheat the waffle iron before baking your waffles. If you waffle iron does not have Teflon or nonstick grids, oil the grids before baking the first waffle or spray with a Vegetable Spray. Note: Alternatively, omit the Raisins and serve with sliced Strawberries and Whipped Cream.